It was snowing lightly that first morning in Haines. Reports said blizzard, so we hurried thru breakfast. We should have savored it ….it was to be the last “normal” meal for a while. We would be within Alaska’s borders for a short time before crossing into British Columbia. The Haines Highway would take us into BC, up the Chilkat Pass and into Yukon Territory. Our next fuel stop was planned for Haines Junction, YT. Our next sleep would be Destruction Bay, YT. Ominous name, eh? Thought I’d throw in that “eh” in honor of Doug’s Canadian heritage. Speaking of Doug, there was a visible change in his demeanor as we hit the road. It seemed like he’d been driving truck thru snow all his life. There was a new confidence I’d never seen. And at only two and a half years old, Ian was amazing. He sat in his special seat between Doug and I like a miniature scout. 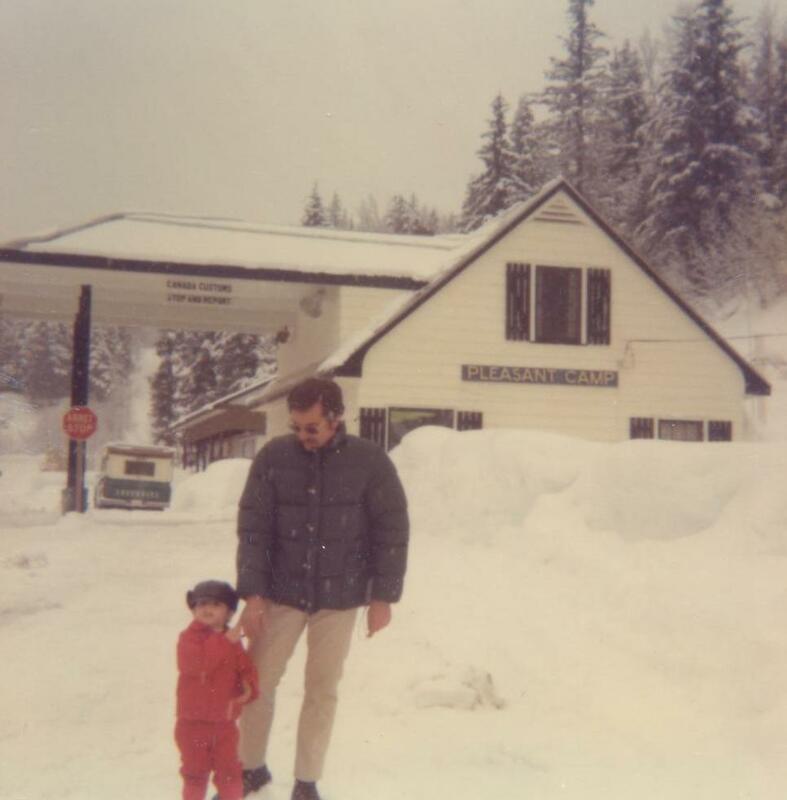 His eyes scanned the road like his father, he noticed obscure sights along the way… the only things missing were the coonskin cap and buckskin jacket. He had his moments, understandably, but I will always be grateful for his goodness. Not far out of Haines was the most spectacular sight….trees, still winter bare were covered with black dots. Closer we got, the dots were actually eagles. Hundreds of them. We’d entered the Chilkat Bald Eagle Preserve. Doug was convinced they were saying “Welcome…this is your new home”. Snow was heavy by the time we reached the BC border. The Mounty who checked our papers was friendly…quite chatty actually, like Doug. I thought maybe it was a Canadian thing. We opened up the back of the truck hoping he would not feel the need to investigate more thoroughly. Luckily, he did not. It wasn’t that we had anything to hide, we just had no clue how we’d get it back in again! The Mounties patrolled that stretch of highway regularly and they would give help where needed. If we stopped we ran the risk of getting stuck ourselves. It was hard to imagine driving past someone in need….we weren’t raised that way. Intellectually we understood his advice. I wondered if we could really do it. It didn’t take long to be tested. We recognized cars and trucks we’d disembarked with along the route. There were folks hitchhiking thru the snow and cold temps…pure craziness! Then on the steepest part of the climb we saw the first of several wrecks – a truck had slipped off the edge of the road… a little farther up, a car. The people were out and about, unharmed, digging out…or attempting to. It was hard to just keep going. But we did. Slowly, carefully our big old truck just kept rolling up the mountain. Ian and I didn’t make a peep. Doug was totally focused. I was proud of him. We made it to the top of the pass, beyond the tree line even. For the first time in hours we stopped the truck, stretched our legs and yelled just to hear our echos. We rolled on, taking advantage of day light hours. 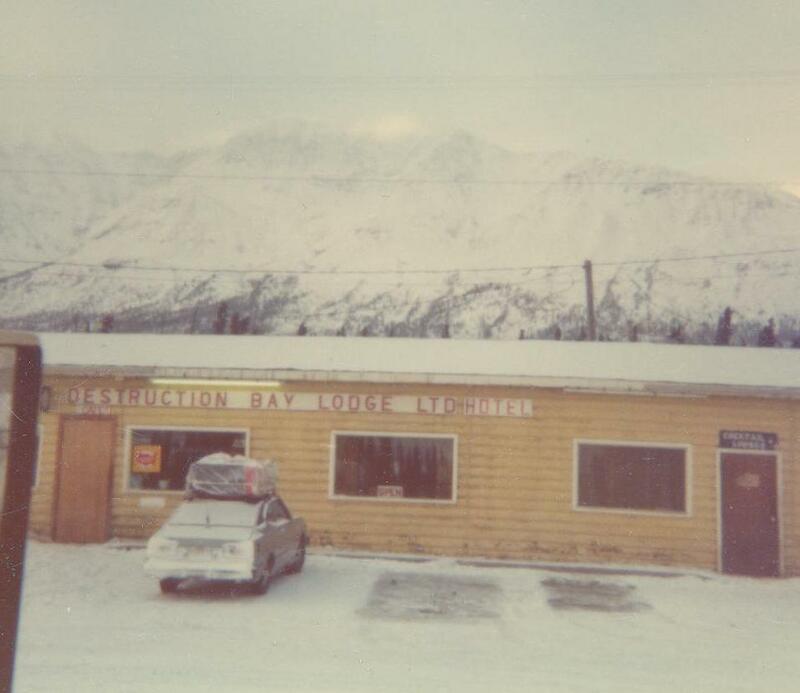 We fueled up in Haines Junction, snacked on food we had and continued toward Destruction Bay. There was no oncoming traffic that day…we stuck to the center of the road like the Mounty said. By the time we got there it was dark. 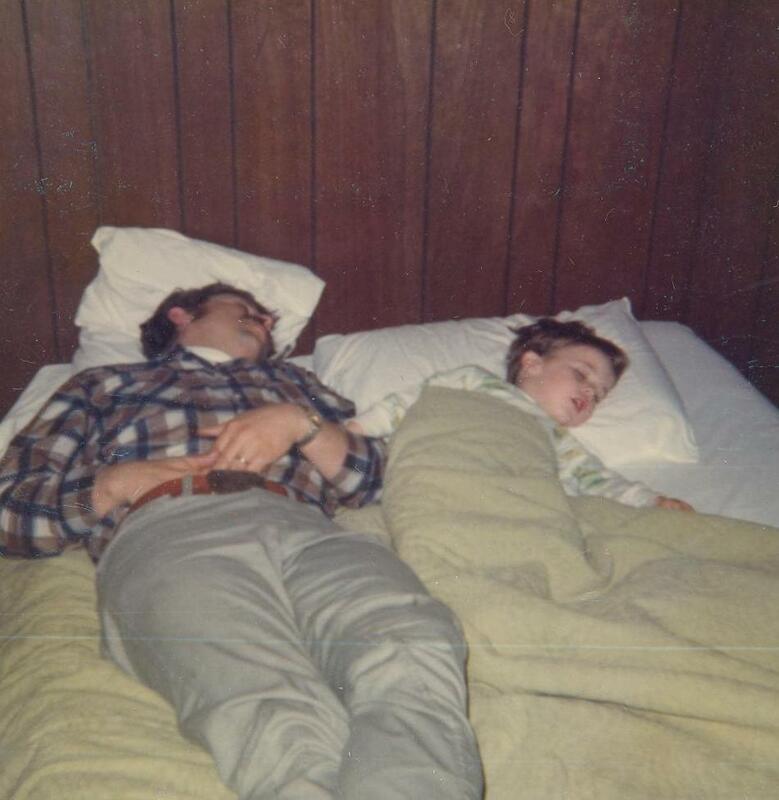 We were beat. The kitchen was closed and the room was small and odd…unwelcoming. It had been a surreal day of highs and lows…I was sinking toward the lows. Doug and Ian crashed immediately. I couldn’t turn my mind off. What was I doing out here? Instead of hearing the next door neighbor’s dog bark, I was listening to wolves howling. I was awake most of the night. I read. I prayed. I wondered if we were doing right by Ian. I double checked our money and maps ….something felt “off”, but I didn’t know what. Our home away from home at Destruction Bay. Morning came. We checked out of the strange little room and pointed the truck toward Alaska. 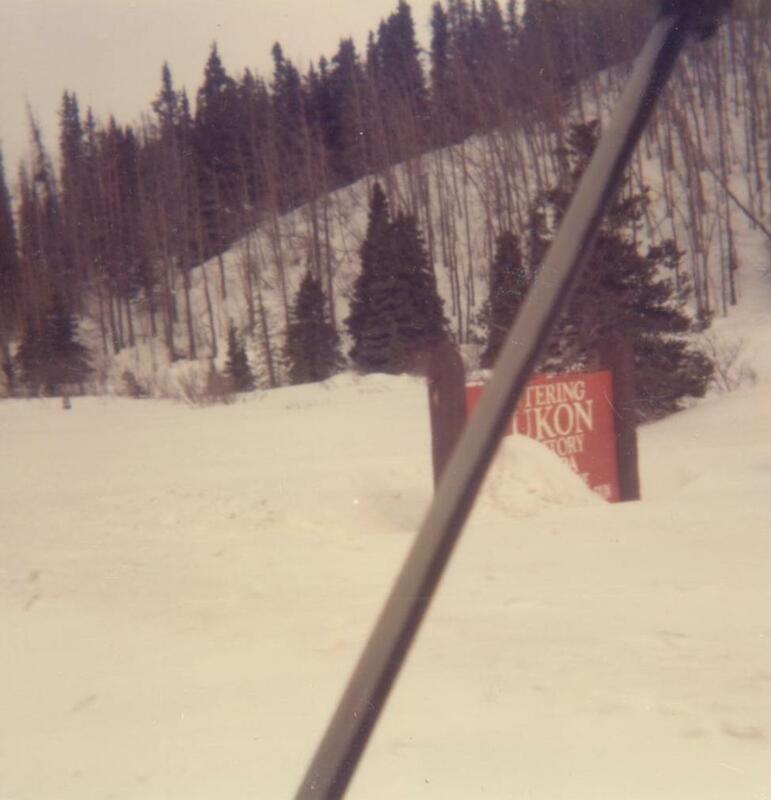 We hoped to cross the border by noon and spend that night in Tok. At least, that was the plan. The north country is a special place. We’re hoping to visit there again soon – – and I love BC. My husband grew up in Burnaby..still have family in North Vancouver and Kelowna. I’ve been enjoying your blog since you popped up on Freshly Pressed – – lots of good stuff there 🙂 Thanks so much for stopping by today.